CP in KGX is an odd one. As you make reference to it’s some way from kings cross – forget walking with luggage. It is a strange internal layout, feeling very much like several independent business with their connecting walls knocked through. It’s nice enough for sure, rooms aren’t big (ones I’ve had at least) but breakfast decent and good leisure facilities too. The rooms are tiny. I used to accept them for 35k points. The hotel used to be a holiday inn and was, in my opinion, better then! I’m not sure if I was upgraded without being informed (certainly possible) but I’ve stayed there twice and found the rooms I was given to be of a fairly good size for London. Location isn’t the best (~15 mins walk from Kings X), but the rooms are modern… that said, I’m not sure I’d fork over 40k points for it! It’s a very useful article, thanks! Will make sure I forward it to people who are points-rich, like my friend from California, and keep asking about these things all the time. Would it be also worth running a similar article for the best bargains for cash stays (when you need to hit Accelerate targets etc)? HIX Chingford, HI Brent Cross, HI Elstree, HIX Croydon, various Heathrow properties etc. CP Kings X is one of my regular London Hotels, Yes its Mt Pleasant/Grays Inn area, but is nice inside, Often have two double beds and room size is decent. There is a branch of Belgos in there and a pleasant enough club lounge. I agree. Having stayed at CP Kensington a couple of weekends ago the CP Kings X has nicer rooms with 2 double beds if you need them, more spacious Club lounge and is good value with points. It’s an easy walk from Kings X (or £5 in a taxi with luggage) and an easy, flat, walk to the British Museum or even Covent Garden. HI Bloomsbury also ok but a bit dated & 2 bedded rooms are double with sofabed only. CP City the best if you can get a good deal on room rates. HI Mayfair is a good location, big rooms but (last time we stayed) dated and breakfast was chaotic & poor on a busy weekend. Just wondering does IC Amb get access to Club lounge guaranteed if there is one, in a CP? Am thinking of upgrading quite a few of my IHG stays to use CP’s instead. Nope – sometimes Spire will receive it (and indeed sometimes Plat, which now comes with AMB). AMB status itself doesn’t have any currency outwith IC hotels, just the linked IHG RC status. Re the West Ealing – “quite a walk to the station”? Ever heard of a bus? If you did want to walk to West Ealing it will have a train to Heathrow every 10 minutes once Crossrail finally opens, but it’s uphill from the main road. You’d take the bus to Ealing Broadway to get to Central London, but the bus also goes direct to Westfield (about 25 mins) for those who like shopping in a (mostly) enclosed space. What do people think is the best London option for use of the free IHG night voucher (credit card)? I like the CP Kensington but as with all these bits of advice, it’s more down to where you want to be and what you’re wanting to do? @phil. 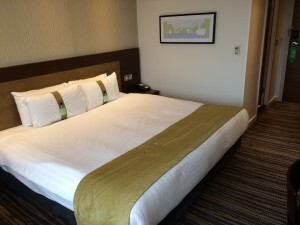 Stayed at both Park Lane and Fitzroy using free IHG credit card night voucher or points. Fitzroy wins hands down fir us and we will stay there next time in London. Exactly what I am reading it for too. Mine runs out on April so was going to use next month. Either this or a Spa package at Hilton DT north of London somewhere. Cash rates seem to be cheap. I think you might get better value using the free night outside of London if you choose carefully. Especially if you can work it so the voucher is used on a night that would otherwise be expensive such as Saturday. Sunday often costs very little to add for cash. But I think Rob has done an amazing job of identifying worthwhile redemptions in London and thank you for pointing up the 02 IC which would never have otherwise occurred to me, Rob! I’m using mine at the Kimpton Fitzroy the week after next. I’ve not been there before but the TA reviews edged it for me over the IC Park Lane for a Platinum Elite and location isn’t to bad as we have a show in the West End. We are also going to stay in The Smoke the next day staying for a paid night in a Club room at the CP Kensington, hoping for a duplex upgrade. It was a ridiculously good value rate, even for Cromwell Road but it’s location is great for the museums, which we’ve not done for years. Depends what you want out of it. I live in central London but have the free night about to expire. Will use it for partner’s birthday weekend at the IC O2. There’s the pool/spa and a restaurant and couple of bars with views of the river. You can get access to the club lounge for £50. Basically I’m going for the physical hotel and services rather than location. The CP The City is opposite Blackfriars station and very easy to get around from. Yes, I like CP City – used my free night there a few weeks back. Got upgraded to Club floor, nice room with lounge access. 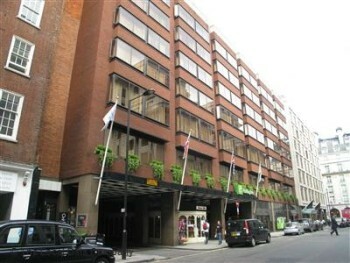 Right opposite station and walking distance to Covent Garden etc. I used my previous free night at the Indigo Leicester Sq. Rooms are indeed very small, but central location. Roof top bar is nice place to start the evening from. I got a one cat room upgrade and the usual drinks voucher. Great post Rob, now can you do something similar for NYC please ? We got Staten Island HIEx for 15k a night, when the cash price was over $200. The hotel was a bit of a dump but in the process of being refurbished, and the room was bigger than the IC Barclay we’d stayed in previously. But it came with the massive advantage of free parking, a free shuttle to the free Staten Island ferry to Manhattan, free breakfast and no extra charges. Not one to stay at if the hotel itself is important, but if you’re driving to/from NYC you can’t really beat it for value! Years ago I stayed in a Candlewood Suites in NJ which was about 10 mins walk from the PATH station which is 1 stop under the Hudson to World Trade Centre. The NJ hotels near the PATH station are still be preferred ‘value’ options for NY. Agree with Rob about NJ hotels near the PATH. I used to live close by, and think it’s a fantastic location. In Midtown within 15 mins! The Candlewood Suites is fine during the week, but I believe the station closest to it (Exchange Place) doesn’t operate at weekends. Therefore can be a bit of a trek to Newport station instead. There’s a Double Tree closer to Newport station that is a FANTASTIC hotel, but with the price to boot. I’ve stayed at both and for the price, I’d stay at the Candlewood again as long as it wasn’t the weekend in depths of winter. But then I don’t mind walking! Just FYI to anyone thinking of NJ. There are no weekend PATH services into WTC until Dec 2020. I believe there are alternates including a free ferry service so do research it if you’re interested. Claire what a fantastic recommendation. If you have visited NY before, often you dont really need to be in the center, just easy access to the metro. The free parking is a massive benefit. It means you dont need to cross the bridges with extortionate tolls or activate the rental cars “rip off” transponder service. Thank you. Holiday inn express at Ealing is excellent. Opened a couple of years ago so still fresh and contemporary feel the staff are always so friendly, about 25 mins walk to Ealing Broadway underground and low cost and point redemption. Overnight parking maximum £10. The park lane is currently being refurbished,they left a card in our room regarding possible noise from contractors. I believe they should be refurbishing the rooms to the “London” type category. Really useful article Rob, thanks. I’m surprised neither of the capital’s Staybridge Suites got a look in. Still fairly new, I rate both the Vauxhall and Stratford City properties highly. And at 40,000 points including breakfast and their midweek evening receptions, think they’re excellent value too. Staybridge Stratford gets a mention. No idea where Vauxhall is. I did check both of them to see if reward rooms could fit 4 people, in which case I would have mentioned it, but they didn’t. Staybridge Vauxhall is some 500 yards from Vauxhall rail stations – about 7 mins walk, mainly through the park, if it is open. Otherwise a bit further, along Albert Embankment, then turn right. I walk past Vauxhall for work, the park is fine. There is actually a few parks in the vicinity so very ideal if you have kids! IHG’s best kept secret in London imho. I’ve stayed at the HI at Kensington High Street… once. The room was the size of a coffin for a short bloke. It was entirely filled by the (queen sized) bed to the point that even opening a cupboard or accessing the tiny shower room was difficult. I’m not one of these people who needs to get lost in a hotel room but I did start to feel like I was in one of those Japanese capsule hotels. Just back from 3 nights at the Hotel Indigo Kensington. It’s not just the soft drinks that are free from the mini bar, there was 2 cans of lager, a small bottle of white wine, a small bottle of red, chocolate and crisps along with cans of pop and bottles of water. All were restocked daily. The rooms were huge and the staff friendly. The location was great as Earls Court tube is literally a minutes walk away. Sadly the let down of this hotel was we were put in a ground floor room, the street noise was ridiculous and the beds were too hard for my liking. I have just booked a non refundable Hilton Hotel for tonight by mistake ( flaming quick book) I contacted the hotel immediately and they told me to put my request to cancel into an email as the don’t deal with cancellations over the phone. hotel were non committal re the refund. Anyone with experience of mistake bookings. Only with IHG, not Hilton. I accidentally booked two rooms non-refundable at the same hotel when I only needed one. I rang them straight away and they said there is a short window where the booking is basically pending and they can cancel it their end which they did for me for one room. Hope it works out okay for you! DT Kensington have phoned me back and after a bit of tooing and froing have agreed to a refund. Todays task remove credit card details from all hotel sites. HIX Swiss Cottage (Finchley Road really) isn’t bad for 35k. Convenient for Jubilee Line and breakfast included. Dined over the road courtesy of Clubcard vouchers (Pizza Express & Zizzi). I used to live very close to the HIX Wimbledon South, which is actually across the road from Colliers Wood underground station on the Northern line. There are now at least 3 coffee shops, a great gastropub (The Charles Holden), Italian, Lebanese, Ethiopian restaurants, some shops, Burger King and supermarkets within 5 minutes walk from the hotel. There’s also a decent park if you like to sunbathe or go for a walk. It’s a good 25 mins walk to Wimbledon with a few bus routes that can take almost as long on busy times of the day. I’d say the journey by tube into central London would take around 30 mins. It’s not an easy location for any airports by public transport but it’s a safe up and coming area in South London and I’d stay there considering the low cost in points.